There is an excitement sweeping the air right now. 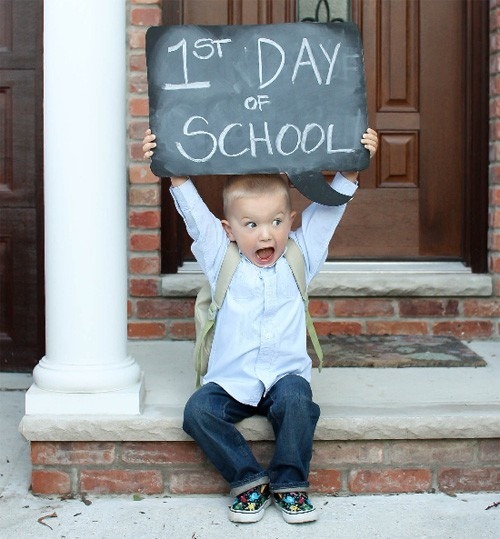 An eagerness full of anxiety, pleasure, joy, unease, and anxiousness all rolled into one is overwhelming the souls of youth everywhere as they prepare for the first day of school. And I might guess a few teachers feel the same way as well! Me? I’m ready. I know inservice meetings hold merit, but I have had enough of the staff handbook talks, sitting until my back is twisted into a pretzel on those hard library chairs. (Hey, does anyone have one of those old stadium seats I can borrow for today? Do they even make those anymore?) Bring on those kids! I just want to do what I am paid to do. To teach. Inspire. To take these young minds to places they’ve never fathomed or dreamed of before. In the meantime, as I eagerly wait out these final two days, I want to focus on the essentials that will get me focused for the new school year. Some of it is inspired by God’s Truth. Some of it is my own friendly suggestions. All of it needs to be shared today. Essential #1: Be respectful for the remaining inservice meetings. I know they are difficult at times. I know some of you have been teaching for over 20 years and have heard the same inservice song and dance so much you could probably recite it yourself. I know you’d rather be spending time in your rooms, but God calls you all to show respect to your presenters. Romans 13: 1 states, “Let every person be subject to the governing authorities. For there is no authority except from God, and those that exist have been instituted by God.” Your presenters are your authorities while they are up there. Be respectful. Put away your smartphones. Get off your iPad. Sit up straight, lean forward, and listen. Who knows? You might be missing out on some golden nuggets that might benefit your students. Essential #2: Find your most difficult kid day one and make it your goal to wrap that kid around your finger. Do anything to connect with that kid. Praise even their smallest improvements you see. Kids will work for teachers that they connect with. I found that kid last fall in my 7th hour and gave him my “King of the Week” award for doing something small. He was mine for the entire year. By 4th quarter that kid was excelling, pushing past others that were finishing off the year with a flounder. Every kid has something good in them. Jesus puts this out there for us in John 15: 12 when he says, “This is my commandment: love each another in the same way I have loved you.” Can you love that way? Essential #3: Want to show your kids that you truly care? Ask their favorites the first week during roll call. This can be anything from their favorite music, superhero, food, mentor, teacher, sport, or even their favorite Ninja Turtle. But don’t just stop there. Let these favorites inspire your lessons throughout the year. Do you know what would happen if all teachers inspired their lessons from their students’ favorites? Kids would LOVE coming to school! Another benefit is that you learn names a lot quicker. You start associating favorites with faces. Names mean the world to kids. Remembering their names mean you care. God knows all of our names, and it makes us feel special. Shoot, according to Jeremiah 1: 5, He knew me before I was in the womb! Now I can’t say that about my students, but I can make it my goal to have all 125 kids names memorized by the end of the first week. Essential #4: Never forget to pray. I have a reminder taped right below my keyboard at my desk that says, “Don’t forget to pray!” You do the same. Pray when you walk in the room every morning. Pray when you leave. Pray in your plan hour. Pray in your head when overwhelming situations occur. Just pray. 1 Thessalonians 5: 16-18 is one of my favorite scriptures: “Rejoice always, pray without ceasing, in everything give thanks, for this is God’s will for you in Christ Jesus.” One of my favorite scenes from Facing the Giants is when the teacher walks down the hallway praying over the lockers of the students. Try that. Arise early, stalk the hallways of your building, and pray for the well-being of your kids. Pray over the desks in your room. And believe in those prayers! Know that God is omnipotent and omnipresent, and He can move mountains. Are you ready? Living His legacy is anything but easy, but who ever said being a Christian was easy? Rise up! Show your students who Christ is through your actions. Be a servant. Be a leader. Be the Christian teacher that God called you to be.